Local photographer Joshua Perrett, from Bishopston, has won the first Bristol Energy prize with his photograph, taken as part of this year’s 24 Hours in Bristol photography competition. We launched the Bristol Energy prize in this year’s competition as a great way to celebrate our founding city, and to find the image that best captured Bristol’s positive energy and creative spirit. Over 500 images were entered, featuring a day in the life of the city. From sunrise harbour landscapes to King Street lights, classic city vistas to river boat races, hundreds of photographers were given just one hour to capture the best of Bristol. Bristol Energy chose aerial photograph 'All Together Now' by Joshua Perrett as its winner (pictured). 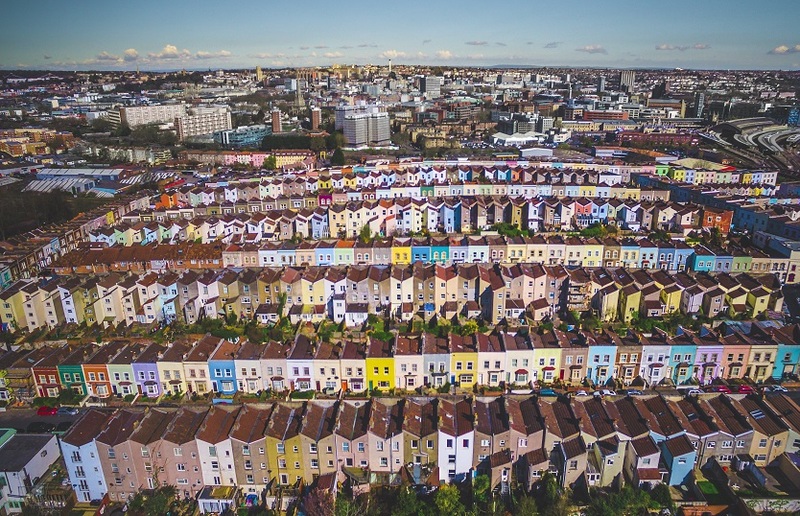 Taken in Perrett’s Park, using a drone camera, the photograph showcases the rows of colourful houses that Bristol is so famous for. Joshua has received a £1,000 prize, and we’ll be displaying the image as part of an exhibition at the Bristol Energy Hub – our face-to-face customer care centre on the waterfront – from Friday 10th June. Joshua currently works as a delivery driver for a local supermarket, but will soon be setting up his own media company in Bristol. He also picked up 2nd place in the overall competition. “Bristol is a really special place to be - a crazy, beautiful mix of weird and wonderful people living together in unity. I feel really fortunate that I was able to grow up here and love taking photos of the city. “It was incredibly difficult to choose a winner, as the standard was so high, but All Together Now really captures Bristol’s creative spirit. Find out more about the Bristol Energy Hub. Discover how Bristol Energy is making a difference in Bristol and the energy sector.